Only in Illinois can you find such a diversity of railroads; a place where the seven major, North American "Class I" railroads converge. 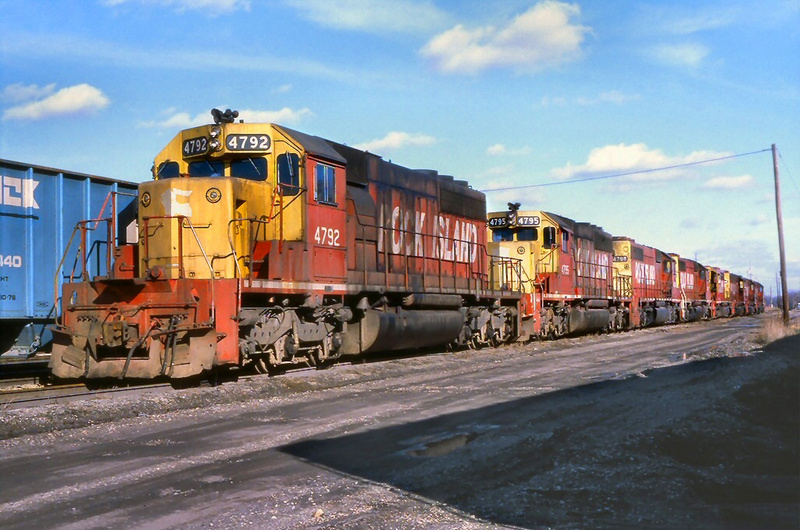 These companies include BNSF Railway, CSX Transportation, Canadian Pacific, Canadian National, Kansas City Southern, Norfolk Southern, and Union Pacific. Its all thanks to Chicago, railroading's central hub for more than a century. Before the modern "mega merger" movement, dozens of well-known systems reached the Windy City; names like the Pennsylvania Railroad, New York Central, Baltimore & Ohio, Illinois Central, Milwaukee Road, Erie, Chicago & North Western, and Chicago, Burlington & Quincy. Through consolidations and bankruptcies these disappeared into the current seven. At one time, more than 12,000 miles of railroads crisscrossed the Prairie State, ranking it behind only Texas in this regard. With such a rich history, numerous museums, as well as a few train ride attractions, can be found in Illinois todya. 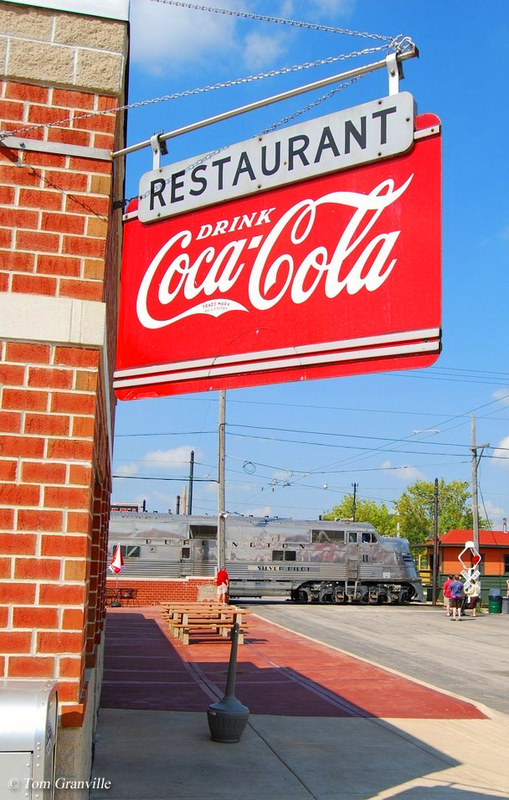 If there is one establishment you must see, be sure and stop by the Illinois Railway Museum! This organization has amassed the largest private collection of historic equipment in the country! Please note! 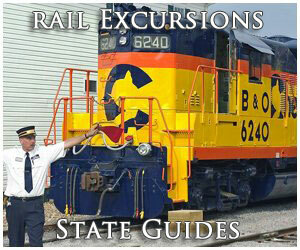 The guide information here pertains only to Illinois train rides related to vacation and tourism destinations. 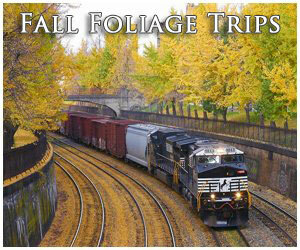 If you are interested in intercity/long distance rail travel please visit Amtrak's website. Railroading in Illinois begins in the 1830's, a time when the newfangled English technology was just getting started along the East Coast. The state watched with increased interest as these fledgling operations proved their worth time and time again. 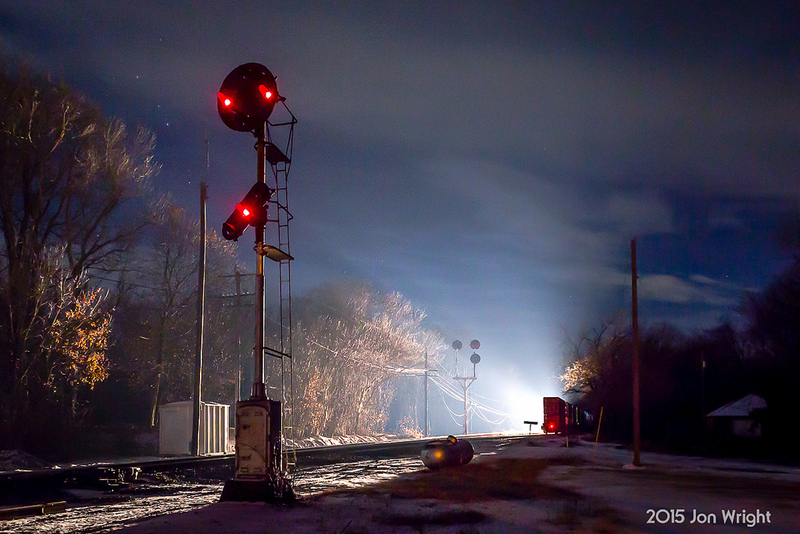 As a result, before that decade ended railroading was underway in Illinois. According to Tom Murray's book, "Illinois Central Railroad," it all began after officials passed the Internal Improvement Act in 1837, which set aside $10 million to construct 1,300 miles across the state. The endeavor proved only marginally successful although it resulted in Illinois's first railroad; according to the Trains Magazine's January, 2007 issue under a piece entitled, "Illinois: Crossroads Of American Railroads," the Northern Cross Railroad completed 55 miles between the capital at Springfield and Meredosia in 1842. This company also holds the distinction as the first to operated a steam locomotive in the state when a little 4-2-0, named Rogers, rumbled over the initial 8 miles between Meredosia and Morgan City on November 8, 1838. At around the same time another project had gotten underway, the "Central Railroad"; envisioned to link Cairo, at the state's southern tip along the Ohio River, to Galena near the Mississippi River (and not far from Dubuque, Iowa). The route was estimated to cost $3.5 million but numerous delays nearly resulted its cancellation. It was reorganized as the Illinois Central Railroad on February 10, 1851 and, thanks to land grants, things finally got underway With funding established work proceeded rapidly until the entire system had completed its original charter on September 27, 1856. 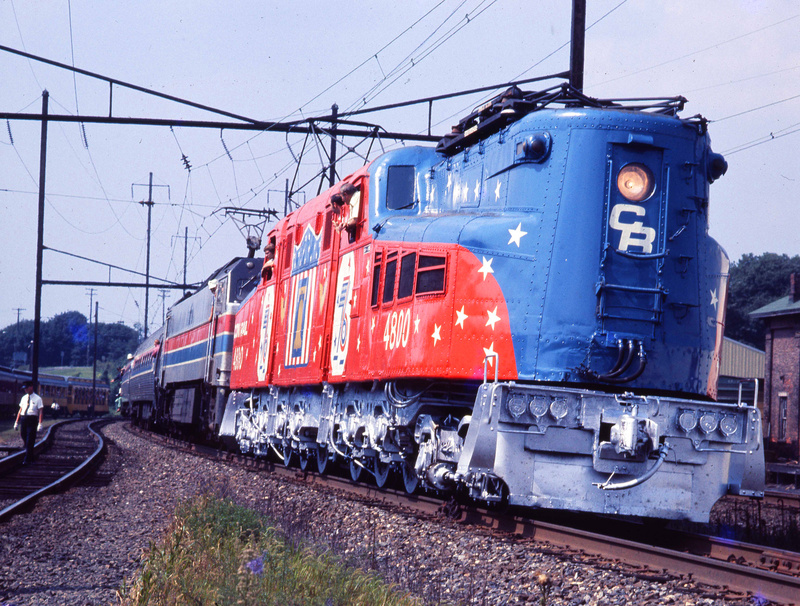 The IC continued to expand and eventually maintained more than 6,700 route miles as one of America's most successful railroads. In the succeeding years numerous systems pushed their way to Chicago from not only the east and west but also north (Minneapolis, St. Paul & Sault Ste. Marie, the "Soo Line") and south (Gulf, Mobile & Ohio). The Windy City became so congested that several successful switching, terminal and belt lines sprang up to alleviate the bottlenecks, a situation found nowhere else in America. These names included the Elgin, Joliet & Eastern; Indiana Harbor Belt; Baltimore & Ohio Chicago Terminal; and Belt Railway of Chicago. Illinois's rail mileage has declined significantly since the 1920's but, according to the Association of American Railroads still contains 7,119 miles. The Amboy Depot Museum, opened in 2003, is located within the town's restored former Illinois Central depot which acted as a division headquarters until 1894. The beautiful brick and stone two-story facility was completed in 1876. The organization has also preserved the town's freight depot, a somewhat newer wooden structure built in 1904. Today, trains no longer run through Amboy but the facility does house a nice collection of displays for visitors to see and peruse. Their most noteworthy piece is a preserved steam locomotive; Grand Trunk Western 0-8-0 #8376 (listed as a Class P-5-g) that was manufactured by the Baldwin Locomotive Works in 1929. It sits on display in front of the building along the former right-of-way. If you are interested in planning a visit the museum is open most weeks Thursday through Sunday. To learn more please visit their website. As its name suggest, this museum, maintained by the Elizabeth Historical Society, is housed in the restored Chicago Great Western depot at Elizabeth (a wooden structure completed in 1888) which features static displays and a caboose in front of the building. They are open each weekend from May through October. The Fox River Trolley Museum, based in South Elgin, Illinois is dedicated to preserving the region's interurban history. It began in 1961 as the Railway Equipment Leasing & Investment Company, gaining its current name in 1984. At the time interurbans, in particular the Chicago, North Shore & Milwaukee and Chicago, Aurora & Elgin ("Roarin' Elgin"), were dying throughout the Greater Chicago region, despite the great transit services they offered. The museum was established to maintain their memory. The collection currently includes 30 pieces of historic equipment that ranges from trolley/interurban cars to locomotives and general rolling stock. Most is of North Shore Line and CA&E lineage. Finally, be sure and catch a ride while there; during the warmer months the museum offers trips along 4 miles of restored right-of-way utilizing some of these preserved pieces. To learn more and plan a visit please visit their website. Located in Galesburg this museum houses a large collection of rolling stock and displays. 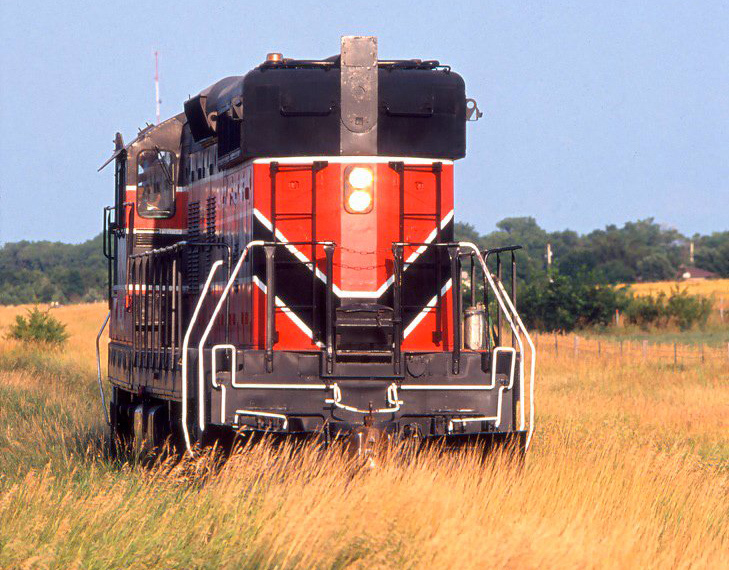 They state their mission as "to promote the research, exploration, and discovery of the history of the railroad industry as it applies to Galesburg and Western Illinois. 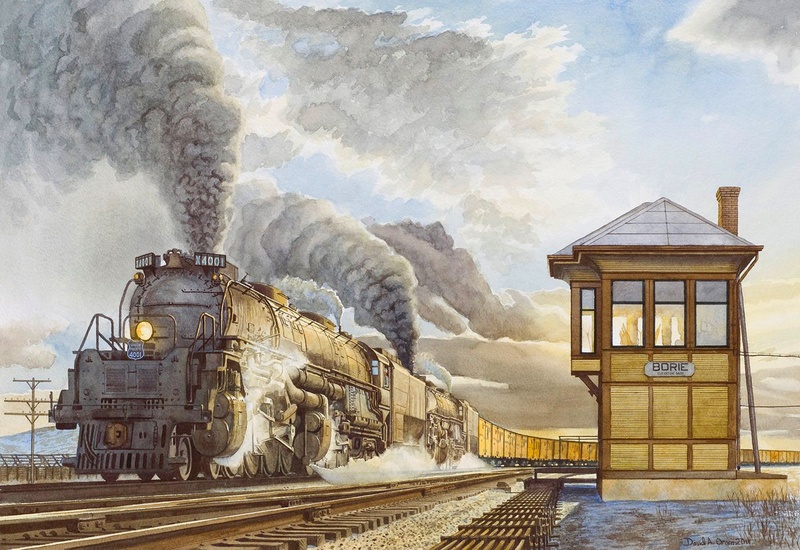 Its objective is to gather and preserve artifacts, historical documents, data, letters, accounts, and articles as it relates to the history of the local railroad." Since the town was predominantly served by the Chicago, Burlington & Quincy many of the pieces carry a heritage from that railroad. Their most highly regarded is Burlington 4-6-4 #3006 (Class S-4), a 1930 product of the Baldwin Locomotive Works. It is officially owned by the city of Galesburg and on loan to the museum for display. Throughout the year the museum holds a few events on the grounds. They are open from late April through early September. To learn more please visit their website. This museum is housed inside the Pennsylvania Railroad's preserved and restored depot (originally built for the St. Louis, Vandalia & Terre Haute), relocated from its original location to 204 West Cumberland Street. It was last owned by the Illinois Central which sold the structure to the Cumberland County Historical & Genealogical Society in 1973. After moving from place to place it was opened to the public in 1992. The building, designed in the Victorian style, is a two-story structure completed in 1870. Housed inside are various railroad displays ranging from a teletype-writer and living quarters to other various displays. Also be sure and visit their model railroad layout and diorama. The museum free of charge although donations are accepted. They are open Saturdays and Sundays throughout the year. This unique museum is located in Chicago at the industrial town built by George Pullman for his once expansive Pullman Palace Car Company. The Pullman Company, from its humble beginnings in the late 1860s, became the face of the passenger industry during railroadings' "Golden Age." The company became famous for its luxurious cars, especially its sleeping cars, although during rail travel's peak years several chose Pullman to equip their entire trains, which were also staffed by Pullman personnel (many railroads were proud of this fact by stating their trains were "All Pullman" equipped). The company began facing stiff competition when the Budd Company, and their popular stainless-steel streamlined equipment, hit the rails during the 1930's. 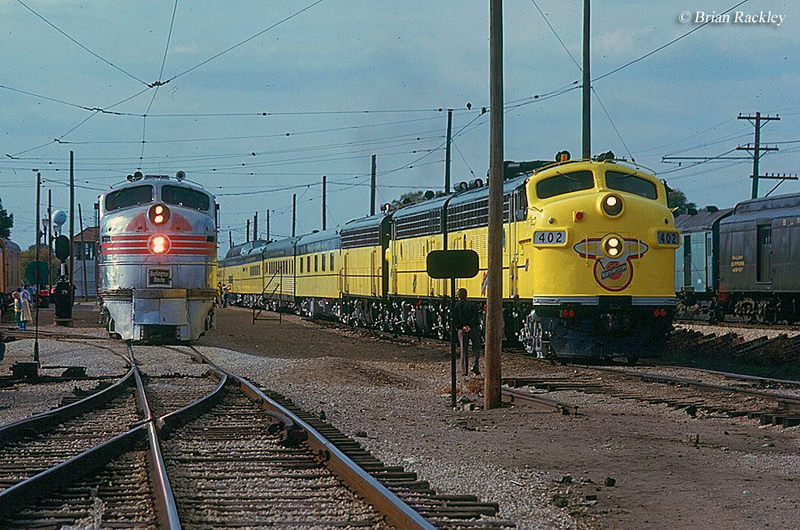 Several purchased their designs, most notably the Santa Fe and Chicago, Burlington & Quincy for trains like the California Zephyr and Super Chief. 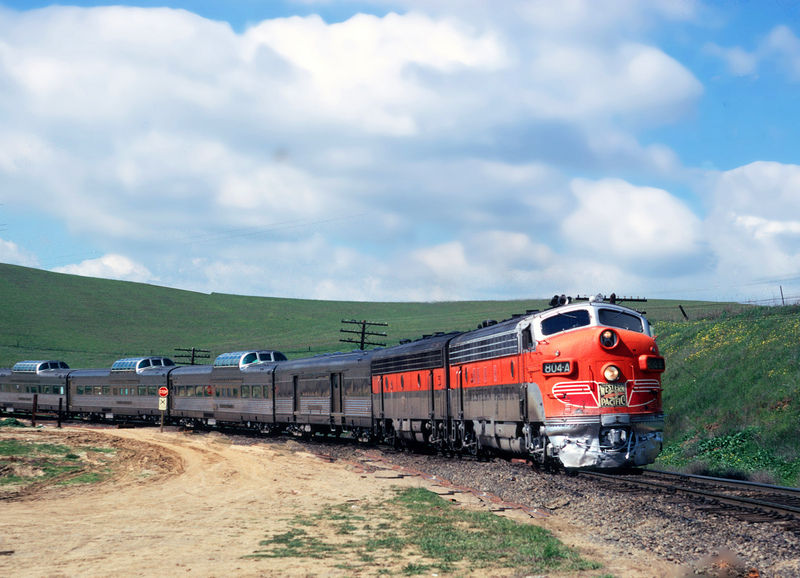 Not surprisingly, Pullman died with the passenger train and exited the manufacturing business before 1970. The company attempted to sustain itself as a freight car builder but this proved only marginally successful. The Illinois Railway Museum, based in Union, Illinois is one of the premier such organizations in the country. The IRM grew from very humble beginnings with a heritage dating back to 1941 when a group of individuals hoped to preserve the region's fading interurban network. With the onset of World War II the idea for an interurban/trolley museum was shelved. 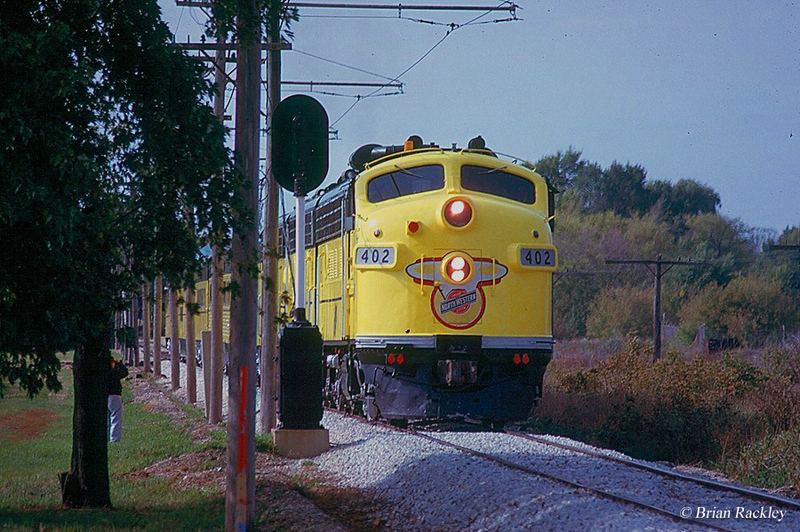 After another twelve years it finally became a reality when the Illinois Electric Railway Museum was formed in 1953. Its first acquisition was Cedar Rapids & Iowa City Railway interurban car #65 (both the car and railroad are still in operation). However, the group still lacked a permanent home with no way to either showcase its equipment or attract visitors. They searched long and hard but with limited available funds settled on 26 acres of property near Union, Illinois. The deal was finalized in the spring of 1964. In 1962 the group had changed their name to more accurately reflect their goal. 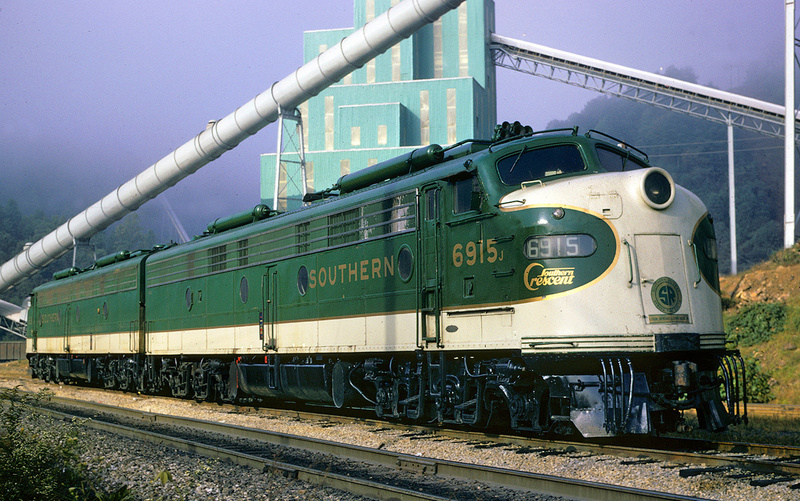 The IRM's new mission was to preserve the state's and country's railroad history. With the help of numerous volunteers it began to take shape. Over the past many decades they have built a new railroad, yard, and storage complexes right in Union. Today's IRM has an impressive collection of preserved equipment. 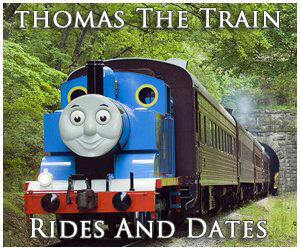 This is a must-see attraction for any enthusiast interested in trains. This museum is operated by the Kankakee Model Railroad Club, housed within the town's restored Illinois Central brick depot, completed in 1898. The two-story facility is still an active Amtrak stop with the museum located at the building's north end. Inside the museum you can find various historic artifacts and displays while a large model train layout is situated in the main room. Outside they have a preserved Pullman car (manufactured in 1947) bedecked in stainless steel and named "City of Kankakee." This rail car actually features a restored interior which the group states can be rented for various functions such as "birthday parties, anniversary parties, bridal showers, baby showers, Christmas parties, etc." The museum is open most weeks from Friday through Sunday. It is closed during all major holidays. The Monticello Railway Museum, based in Monticello aims to preserve the rail history of the region. They have amassed quite a collection of equipment (more than 100 pieces) since their inception as the Society For The Perpetuation Of Un-retired Railfans, Inc (SPUR) in 1966. Its original intention was to sponsor and maintain steam-powered excursions on the Chicago, Burlington & Quincy. After these efforts failed it moved to its current location; in 1970 it became known as the Monticello & Sangamon Valley Railway Historical Society, Inc., then the present Monticello Railway Museum in 1982. 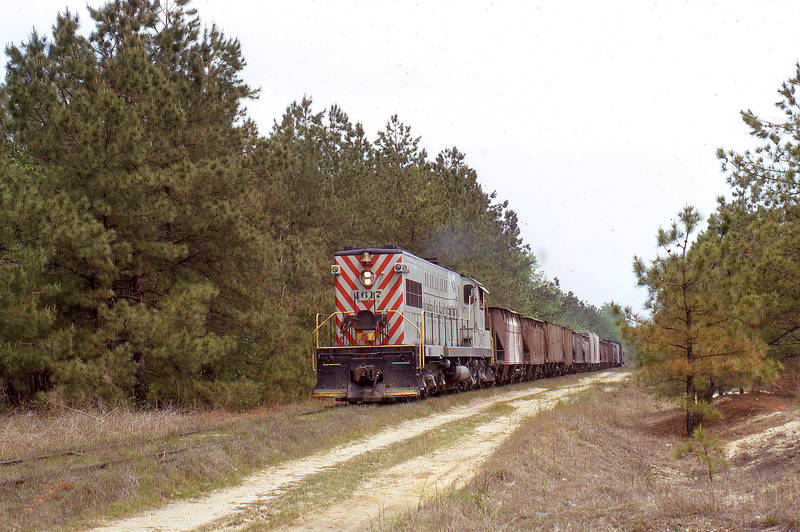 From May through October, during weekends and holidays, the organization hosts excursions over 7.5 miles of the former Illinois Central Gulf between Monticello and White Heat. Cab rides are also available. To make things even more interesting, trains can be boarded at the town's restored ex-Wabash depot. One of Chicago's most noted landmarks, located at 5700 South Lake Shore Drive, is the Museum Of Science & Industry. The facility first opened to the public in 1933 and utilizes the former Palace of Fine Arts featured during the 1893 World's Columbian Exposition. 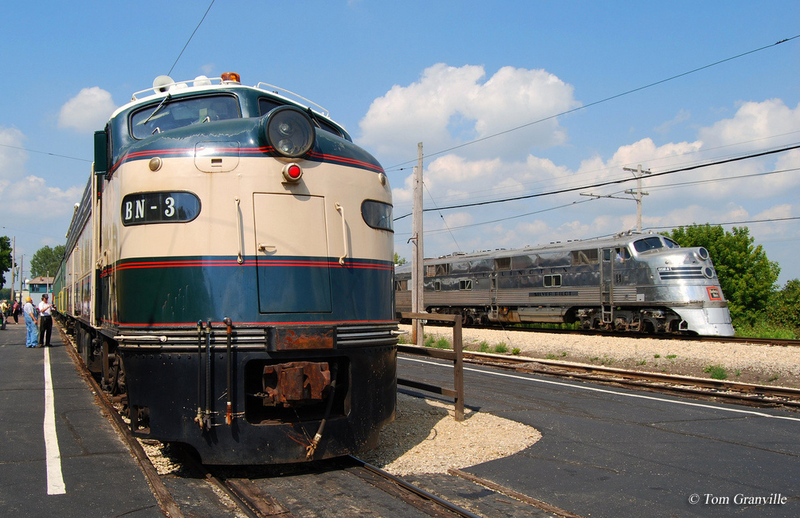 Among their impressive pieces of history includes a replica coal mine, German "U-Boat" U-505 (seized during the war), command module of Apollo 8, and the second streamlined passenger train ever put into service, Chicago, Burlington & Quincy's world-renowned Zephyr 9900 (otherwise known as the Pioneer Zephyr). 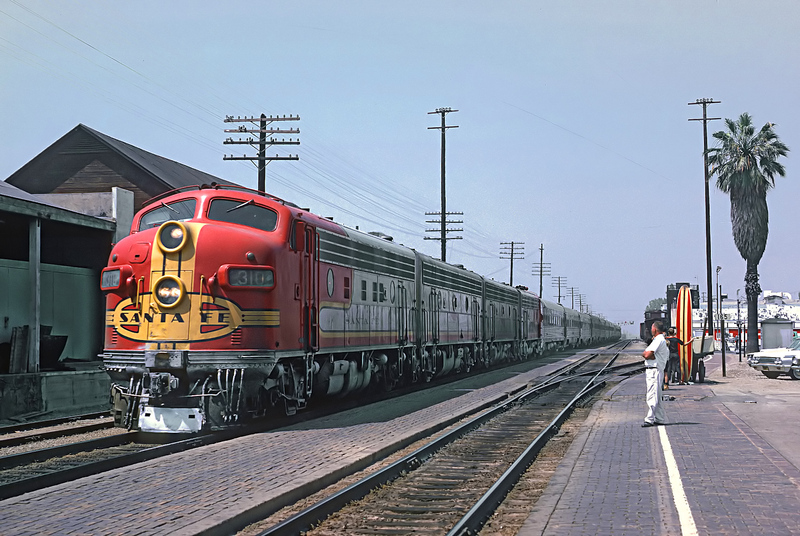 It was the concept of the railroad's then president Ralph Budd and while beaten to the punch by Union Pacific's M-10000 it proved more successful with its diesel engine, improved reliability, and eye-catching, stainless steel carbody. While there be sure and visit the museum's 3,500-square foot model train layout! They are open nearly year-round except major holidays. This museum, operated by the Danville Junction Chapter/National Railway Historical Society, is located inside the restored Chicago & Eastern Illinois brick depot at Rossville, a structure completed and opened in 1903. Their collection is largely from the C&EI but also includes items from other railroads. They are open during the summer season from Memorial Day through Labor Day on Saturdays and Sundays. Often forgotten is the Silver Creek & Stephenson Railroad, a small attraction which hosts short excursions using a restored 2-truck Heisler. This unique geared steam locomotive was manufactured by the Heisler Locomotive Works in 1912 for the Louise Lumber Company. They also have three small diesels; a Plymouth Locomotive Works 12-ton gasoline-powered switcher (built in 1938), a Brookville Locomotive Works 14-ton gasoline-powered switcher (built in 1945), and a Davenport Locomotive Works 44-ton diesel-powered (manufactured in 1954). 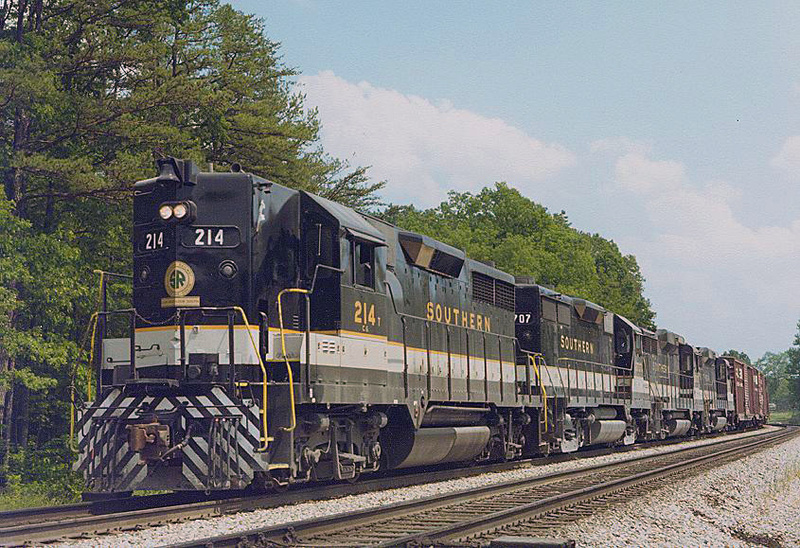 The SC&S is based in Freeport, utilizing a nearly 2-mile stretch of ex-Milwaukee Road right-of-way which had to be completely rebuilt in the mid-1980s. Trains are boarded from the Silver Creek Depot, a building constructed in the early 1990s using plans from the Illinois Central's depot based in Elroy, Illinois. Based within the town of Stonefort's restored Cleveland, Cincinnati, Chicago & St. Louis depot (completed in 189o) is this museum which features a small collection of artifacts. The so-called CCC&StL, better known as the "Big Four" (a nickname describing the four major cities it linked) was formed on June 30, 1889 through the merger of Cleveland, Columbus, Cincinnati & Indianapolis Railway; Cincinnati, Indianapolis, St. Louis & Chicago Railway; and the Indianapolis & St. Louis Railway. It was a long-time subsidiary of the New York Central and at its peak contained an impressive system covering nearly 2,400 miles. The "Big Four" comprised most of the NYC's network in western Ohio, Indiana, and Illinois. Interestingly, unlike most such museums this one is not operated by a historical society or train enthusiast group. Instead, it is owned by a single individual, Linda Blackman, which lovingly maintains the depot. It has opening hours on Saturdays, Sundays, Tuesdays, and Thursdays. Operated as part of the Rockford Park District in Rockford Trolley Car 36 provides rides to the public on select dates throughout the year. To learn more please visit the park's website. This museum, located in Mendota, is housed within a section of the town's original union station built by the Illinois Central and Chicago, Burlington & Quincy in 1886. Later, when the Chicago, Milwaukee & St. Paul (the future Chicago, Milwaukee, St. Paul & Pacific, better remembered as "The Milwaukee Road") arrived in 1904 it also became a tenant. According to the group's mission statement: "The purpose of the Union Depot Railroad Museum is to preserve and share with others the Mendota area's rich railroad history which includes the CB&Q, the Illinois Central, and the Milwaukee Road. We hope to accomplish this through providing an assortment of varied railroad related experiences including interactive displays and fresh programs and displays. This will attract more people to our facilities, grow our membership, and continue to raise the funds necessary for our museum to succeed long into the future." Along with various historic displays they also have rolling stock on-hand (such as a 1949 dining car manufactured by Pullman-Standard for Southern Pacific). For more information and planning a visit please check out their website. Based in Waterman (Clinton Township) at the Lions Club Park this little 1/4th-scale scale railroad offers train rides during the summer months each year. 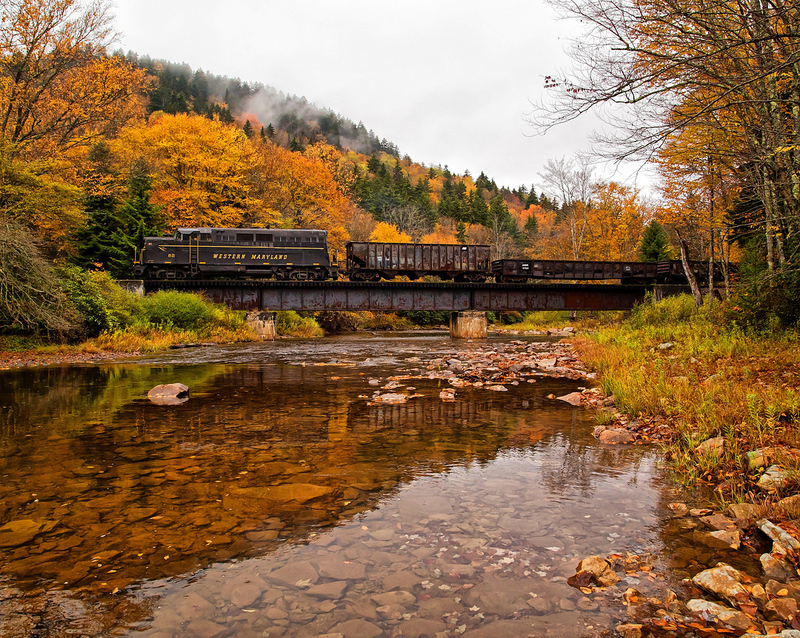 It all began in 1991 when a six-year project to build an F3A diesel locomotive was finished. Unfortunately, at the time they had no place to operate the little locomotive. That changed in 1994 when a deal was arranged with the local Lions Club to construct a scale-railroad within the park. Following a few months of work the track work was completed and the Waterman & Western was dedicated on July 31st that year. Since then the group has added quite a collection of equipment allowing for a complete train that can host dozens of riders on each trip. Today, their schedule runs from June through Labor Day, each Sunday of the week. 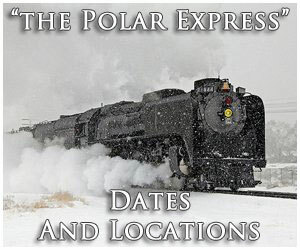 In addition, a number of special events are hosted including the Easter Bunny Train, Pumpkin Train, and The Holiday lights Train. To learn more please visit their website. The Wheels O' Time Museum is located in Dunlap and offers a wide range of transportation-related displays, including a collection of historic rolling stock. It all began in 1977 and the organization officially opened to the public in 1983. Today, they state their collection has grown from one building to five that includes a total of 30,000 square feet of preserved artifacts. If you have any interest in historic cars, water vessels, models, and much more it can all be found at this museum! Their railroad collection includes a combine car belonging to the Milwaukee Road, a Toledo, Peoria & Western caboose, Pullman cars under restoration, and a switcher locomotive manufactured by the Plymouth Locomotive Works. Their prized piece is Chicago, Rock Island & Pacific 4-6-2 #886 (Class P-31), built by the American Locomotive Company in 1909. To learn more please visit their website.